Palacio del Noble Ayuntamiento which includes the City Hall and Weapons Museum (El Museo de Santiago) and Museum of Old Books (El Museo del Libro Antiguo). North of Central Park next to the Cathedral. 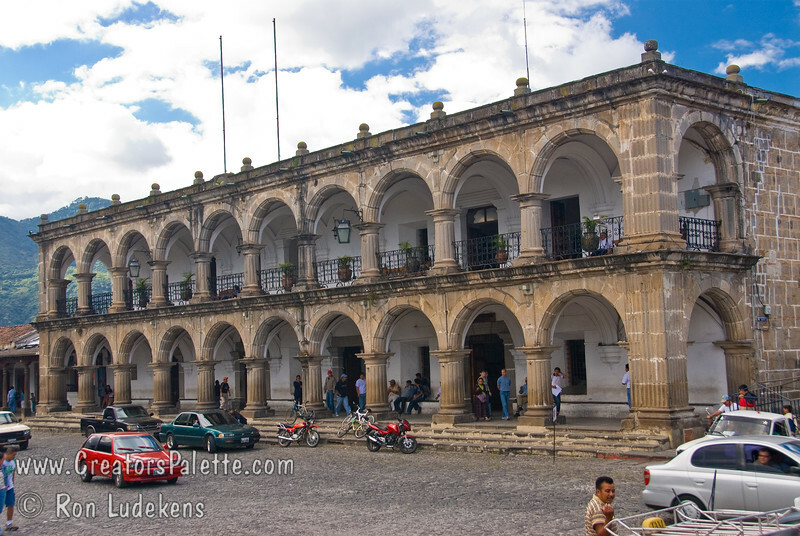 Antigua Guatemala.